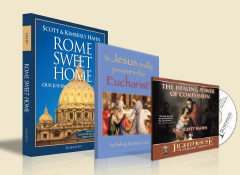 Our service men and women need to be supported in their Catholic Faith now more than ever! "It would be most beneficial if Lighthouse Talks were made available to all men and women in the U.S. Military." Did you know that approximately 25% of our U.S. Military personnel are Catholic, yet there are few authentically Catholic resources available to them, and only 8% of the chaplains are priests? 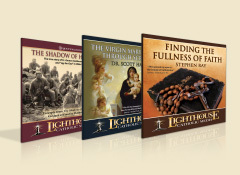 Provides downloads of inspiring Lighthouse audio presentations FREE of charge. Register or donate today! Both of these programs are free and underwritten by your generous contributions. See the powerful impact your donation can make.